Is army chief Bajwa changing the army's approach on the formulation of Pakistan’s security? Does Pak Army chief Bajwa's recent briefing on national security indicate a new approach? In an extraordinary and unprecedented move, Pakistan army chief General Qamar Bajwa interacted with Pakistan’s Senate Committee of the Whole on 19 December on national security issues. The four-and-a-half-hour session was held in-camera, but reports have trickled out through the comments of some senators. The army public relations department (ISPR) was, however, guarded about transpired during the meeting. It merely stated that the geo-strategic situation and threats to the country were discussed in a “very candid, very free, very frank and very objective” manner. Some senators revealed that Bajwa emphasised that the army was committed to constitutional processes and was not destabilising the government. Former Prime Minister Nawaz Sharif and the army’s relationship had broken down and the men in khaki shed no tears at his departure. The army also played a dubious role in the recent Barelvi agitation led by Khadim Ghulam Rizvi, which brought the current PML(N) government to its knees and almost brought Islamabad to a standstill. The army virtually disregarded government’s orders to clear the demonstrators and openly played a mediatory role. Thus, there was genuine apprehension in Pakistan’s political classes and civil society about the army’s future intention especially as the next election will be held in the coming year. Bajwa had therefore an interest in sending a signal that the army has no intention of taking over the reins of government or ruling through proxies. Such a message of unity had to be sent out at a time when relations with the US are rocky and country’s overall situation is unsatisfactory. Besides, the army is relying on the Chinese and the transformation that is hoped for through the China–Pakistan Economic Corridor (CPEC). Hence too, a calming message had to be sent to Beijing which does not want a civilian-military breakdown at this juncture. It was also reported that the Bajwa indicated that Parliament could lay down the country’s security policies and that the army would follow and implement them. In this context, he is believed to have said that the civilian leadership could take the lead in improving ties with India and that the army would support it in this direction. Does this indicate that the army is fundamentally changing its approach on the formulation of Pakistan’s security and critical issues of foreign policy? If this is so it would be truly revolutionary for till now the army has required and insisted that these areas are its preserve. In fact, this was one significant factor behind the Nawaz Sharif and the army’s poor relationship. 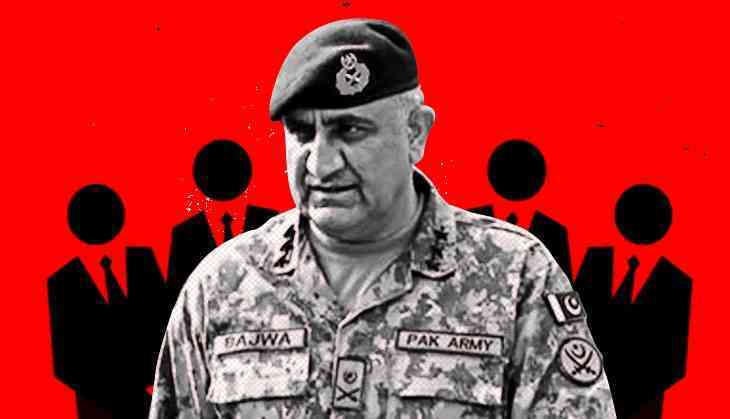 Almost since the time Bajwa took over as army chief many Pakistanis, including those on the Track II circuit, conveyed to their Indian friends that he wants to improve relations between the two countries. While signalling the same message in his interaction with the Senate committee what is different is that he is now asking the civilians to take the lead in this matter. This is perhaps because of the general belief in India that the army is implacably opposed on India while civilians desire relations to be normalised. India should always be on its guard with Pakistan and should never take a Pakistani averment at face value. The lesson of history warrants such an approach. At the same time statements and comments of the Pakistani army chief, even if reported second hand, as in this case deserves careful assessment and evaluation. No doubt the government would do so especially as reports have surfaced from time to time that the NSAs channel between the two countries is open. In considering Bajwa’s comments the following factors are relevant. Pakistan is hurting because of the continuing robust response of the Indian security forces along the LOC and the Intelligence Bureau (IB) in J&K to Pakistani firing. This is hurting it and also the army brotherhood as many army officers have lands in close vicinity of the IB in J&K. Pakistan has often urged that the 2003 cease fire be adhered to and it reduced to a written agreement. Normalisation of relations will ease the pressures the army is feeling. China wants a reduction in tensions between India and Pakistan at the present time so that the CPEC can be completed without obstacles. It is therefore likely that it is advising the Pakistan army to ease relations with India. What is not known if such advice is tactical or if China is suggesting a strategic shift. The latter is unlikely. US pressures on Pakistan following President Donald Trump’s 21 August Afghanistan and South Asia policy announcement are substantial. With a live western border, it is not unnatural if Pakistan wants an easier situation along its eastern border. While these compulsions may drive the Pakistan army to want better relations with India it is hardly possible that as an institution which has enmity towards this country as part of its DNA would change its approaches drastically. The logic of Pakistan’s position dictates a new approach towards India — instead of perpetual confrontation to seek to entangle it in a web of cooperative ties which would reduce its so-called hostility. That would not mean that Pakistan would have to abandon its position on J&K and other ‘disputes’. However, there is no indication that such thinking is taking place or, if it is, has achieved critical mass in the army. All in all, therefore unless concrete evidence comes forth it would be prudent to be sceptical about Bajwa’s intentions. It also seems unlikely, despite Bajwa’s comments, that the army will yield final decision-making powers to the civilians on national security issues. What is possible is greater consultation on these matters between the two and part of this process taking civilian concerns on board. An army which has contempt for the politicians as part of its ethos and considers itself as the ultimate guardian of Pakistan’s ideology can hardly be expected to give up its primacy on its core policy interests. Finally, Indian policy makers should always remember that both the army and the civilians have no real differences on Kashmir. It is truly a national obsession. TWEET THIS Is army chief Bajwa changing the army's approach on the formulation of Pakistan’s security? Does Pak Army chief Bajwa's recent briefing on national security indicate a new approach?